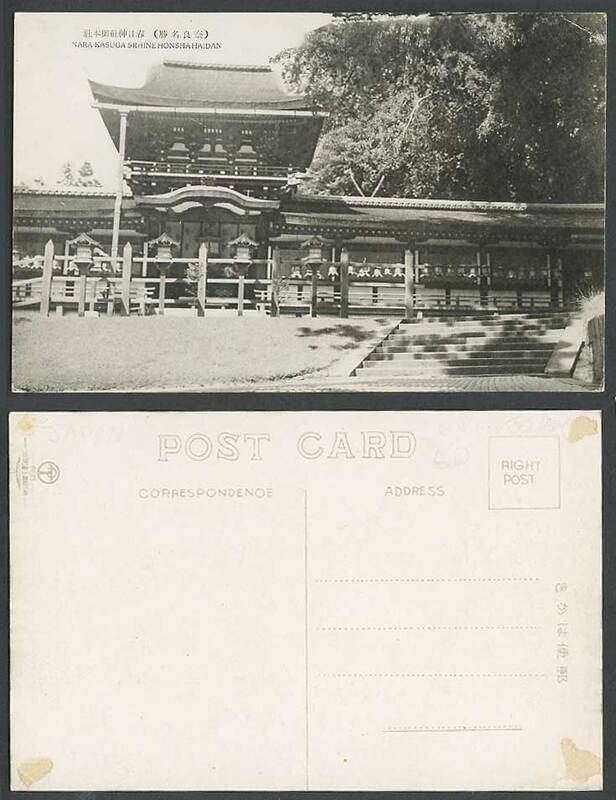 Vintage Old Japanese Post card, Japan, Nara Kasuga Shrine Temple. Lanterns, Steps. 奈良 春日神社 燈籠 御本社.